All information, reports, content and access rights purchased on Estingo Network and delivered to users prior to receiving a cancellation request are non-refundable. In the event there is any claim for/ of charge back by the User for any reason whatsoever, such User shall immediately approach Estingo Network Technologies with his/ her claim details and claim refund from Estingo Network Technologies alone. 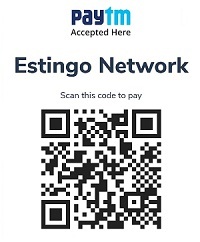 Such refund (if any) shall be effected only by estingo network Technologies via payment gateway or by means of a demand draft or such other means as Estingo Network Technologies deems appropriate. No claims for refund/ charge back shall be made by any User to the Payment Service Provider(s) and in the event such claim is made it shall not be entertained. The term “Charge Back” shall mean, approved and settled credit card or net banking purchase transaction(s) which are at any time refused, debited or charged back to merchant account (and shall also include similar debits to Payment Service Provider’s accounts, if any) by the acquiring bank or credit card company for any reason whatsoever, together with the bank fees, penalties and other charges incidental thereto. The User shall directly contact Estingo Network Technologies for any fraudulent transaction(s) on account of misuse of Card/ Bank details by a fraudulent individual/party and such issues shall be suitably addressed by Estingo Network Technologies in line with existing rules and policies.